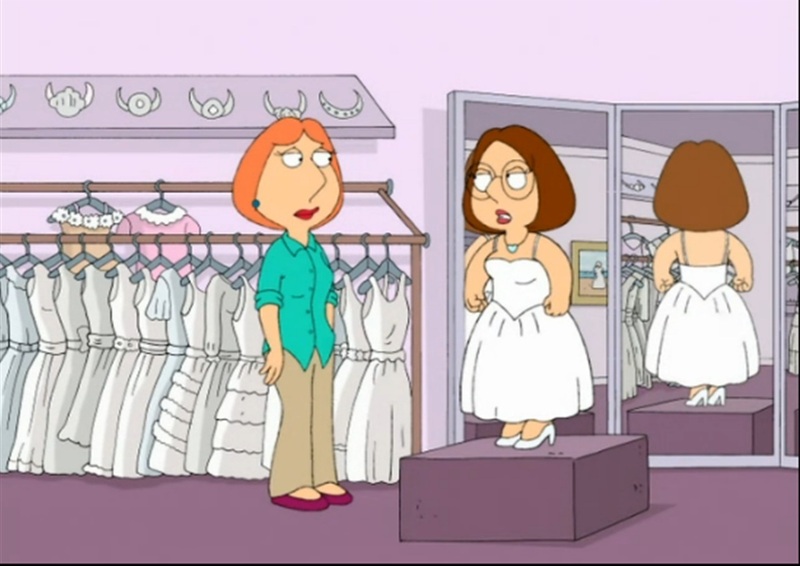 Meg and Lois Griffin (Peter's Daughter) on the Wedding Dress. . HD Wallpaper and background images in the padre de familia club tagged: family guy meg griffin lois griffin meg and lois lois and meg meg and lois griffin lois and meg griffin 2007 wedding dressing room.